Who doesn’t want to adopt an outstanding hairstyle? 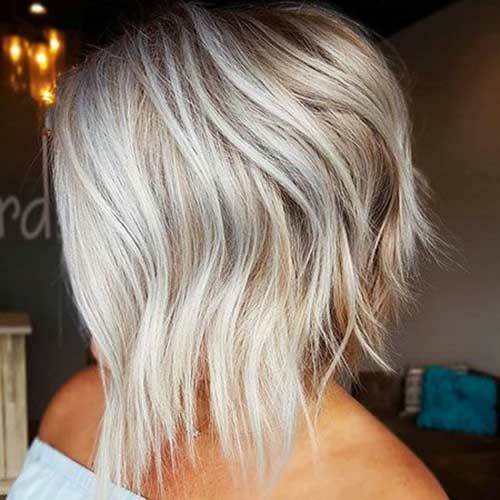 You will update your look or spice up your style with these modern bob hairstyle ideas from cute short bobs to trending long bob haircuts. 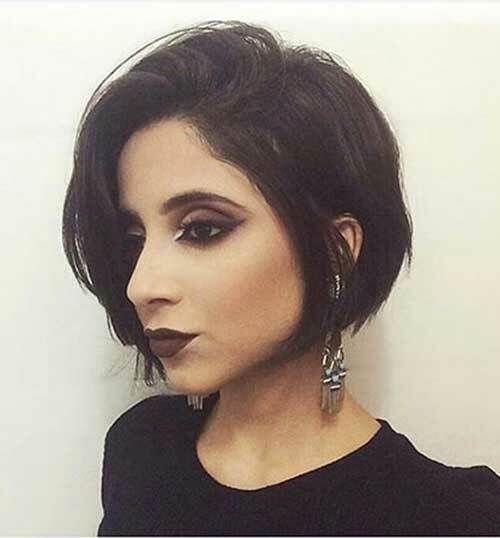 Dark short bob hairstyle definitely frames her face and it is a nice fit with her dark pastel make-up. 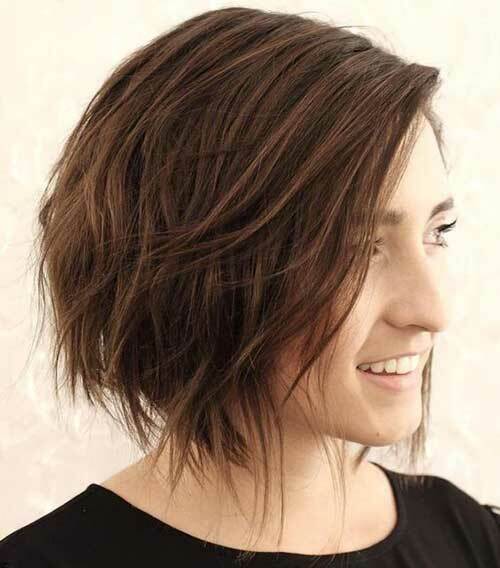 Here is a really modern and cute angled bob hairstyle that can be inspiring for girls with fine hair. Center parting, honey blonde ombre makes this long bob of Emilia Clarke look definitely gorgeous. 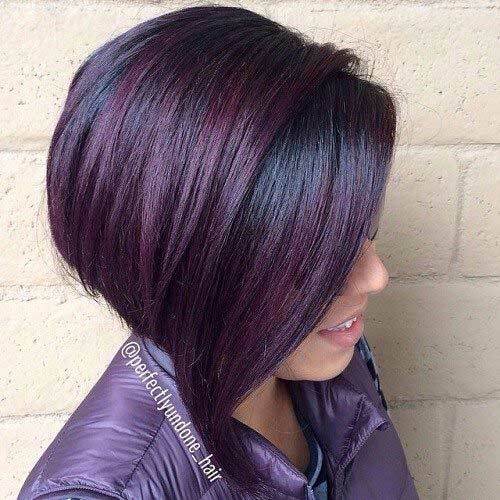 Purple red hair color and inverted style add this bob haircut a really nice touch up and it definitely looks great. 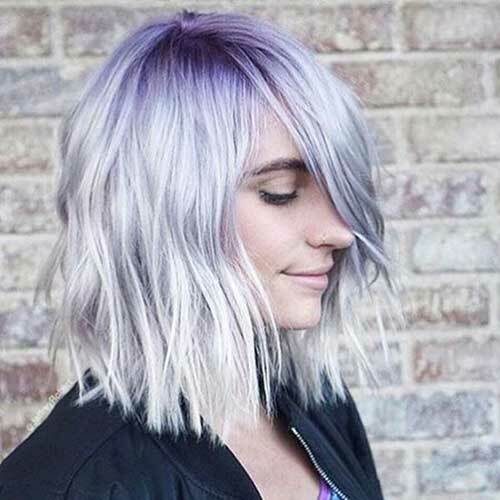 Gray ombre with purple roots looks definitely appealing on this wavy long bob hair. Don’t you think that it is the perfect layering? 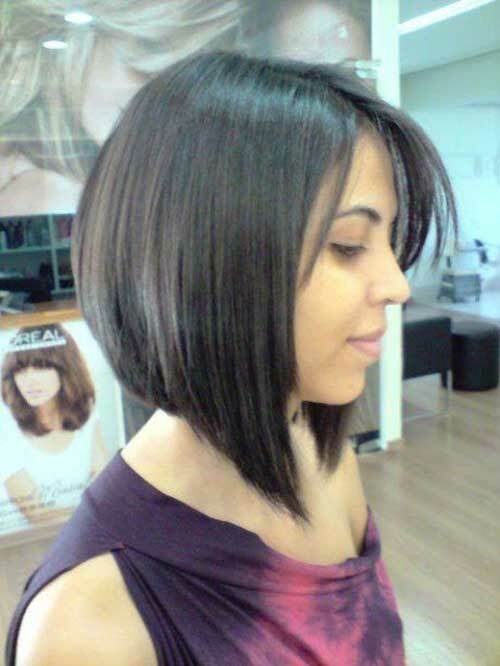 Thinning ends creates a modern look. 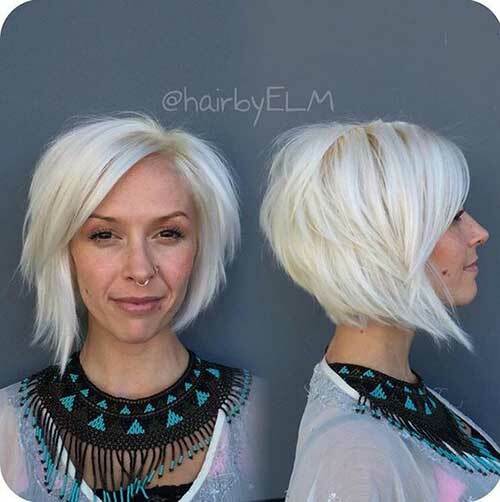 Asymmetrical haircuts are a perfect option for women who has triangle or diamond face shape. 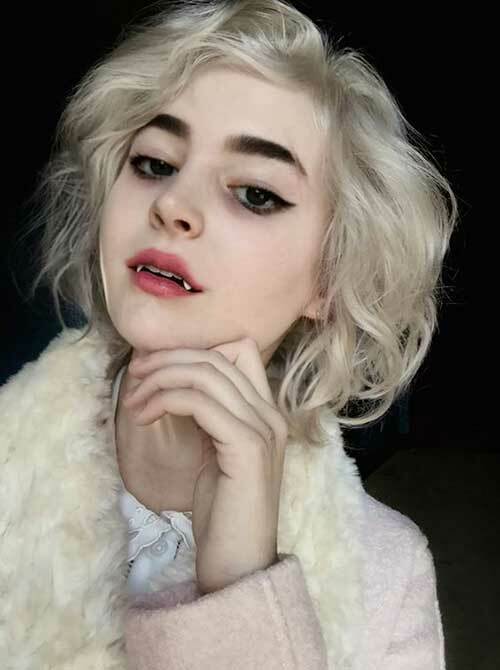 Do you like your hair straight or wavy? 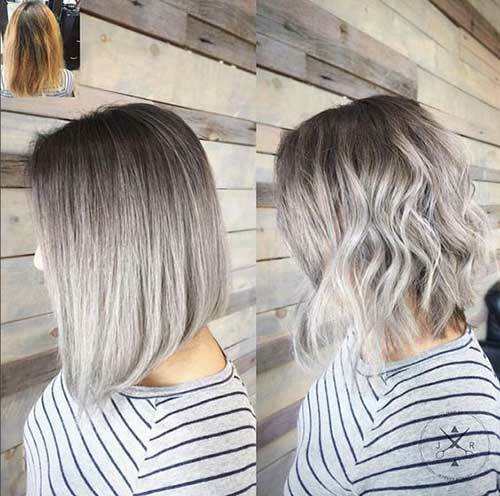 This ombre gray long bob with layering looks modern and chic in both ways. 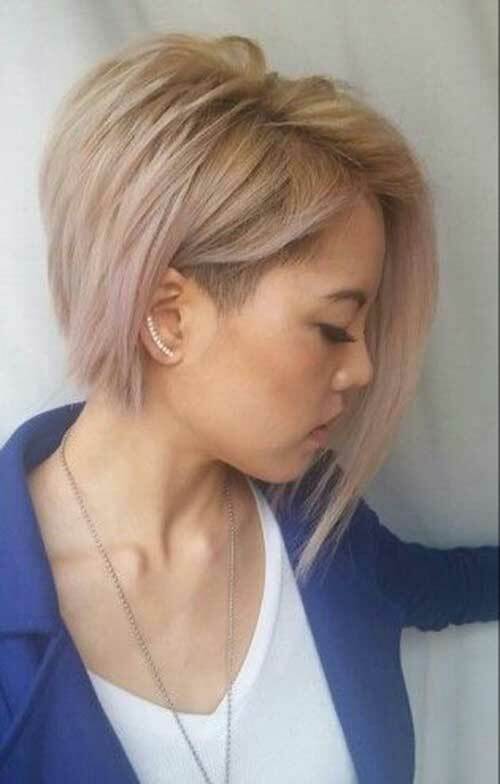 An inverted and asymmetrical haircut would look definitely stylish on thick hair you can also sport shaved sides to create the dramatic effect. 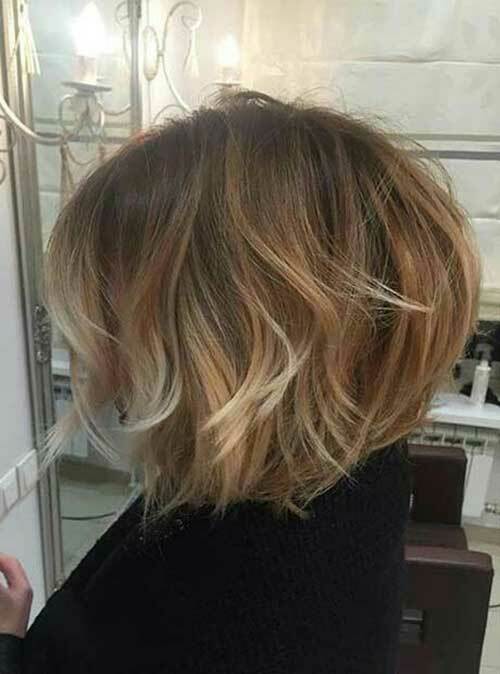 This classy but modern bob hair is slightly angled and ombre highlights complete the look.